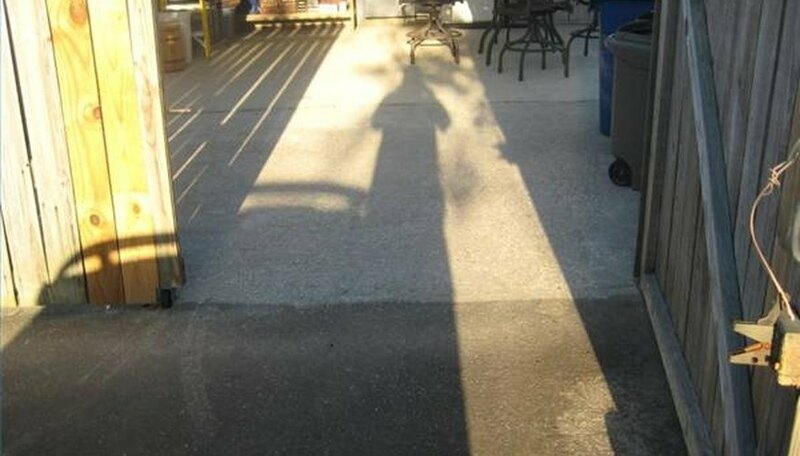 Unattractive iron stains on driveways, patios and sidewalks can be removed without using harsh chemicals which might be harmful to the environment. A laundry product found in most grocery stores will gently fight this eyesore. Mix a solution of 2 to 2 1/2 ounces of washing soda per gallon of hot water. Washing soda is not to be confused with baking soda. It is in the same family, but washing soda, or sodium carbonate, is much more caustic. 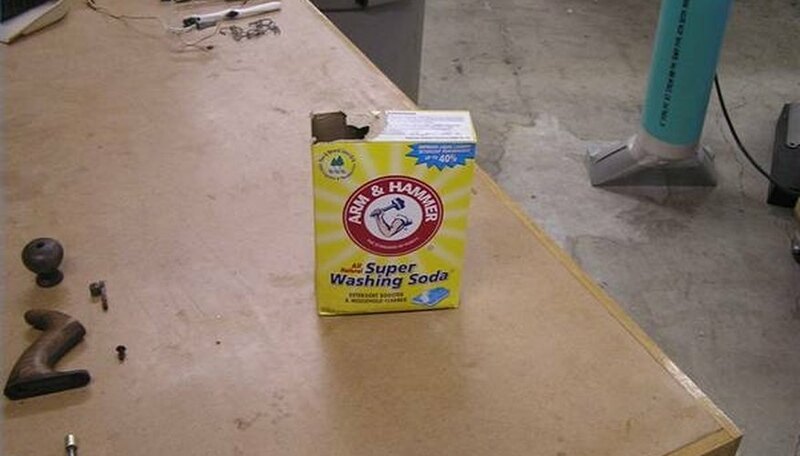 Arm and Hammer brand washing soda can be found in the laundry detergent section of most grocery stores. Pour washing soda and water solution on iron stains and scrub vigorously with a stiff bristled broom or brush. Try scrubbing from all directions. 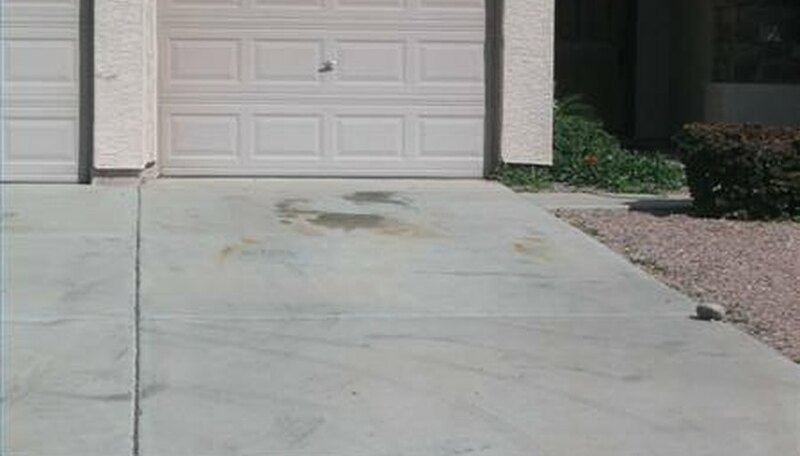 Iron stains are oftentimes the result of high iron content in the concrete that comes into contact with oxygen and moisture. Some stains are more difficult to remove, especially if they are older. Simply mix a thicker washing soda and water solution. Smear it over the tough stains and leave it to soak. Sprinkle with water periodically to make sure the pasty mixture doesn't dry out. Scrub the stained area with the brush or broom after 3 to 4 hours of soaking with the paste. Rinse away the washing soda by using a garden hose and spray nozzle or a power washer. The iron stain should be gone. 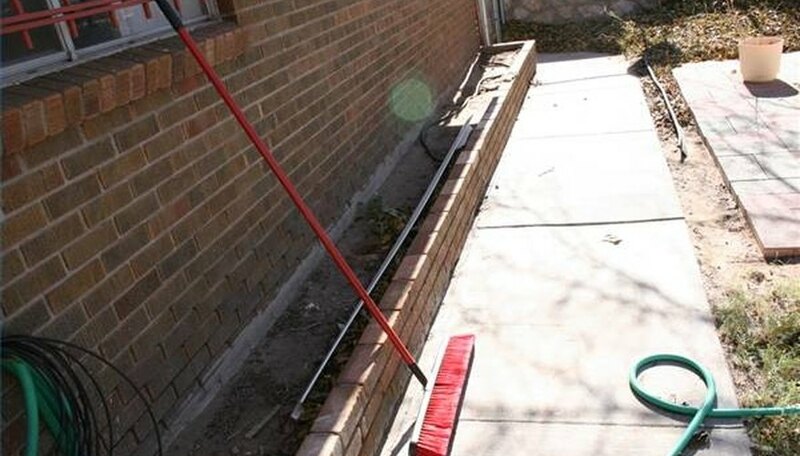 You'll want to protect the clean cement from further stains. 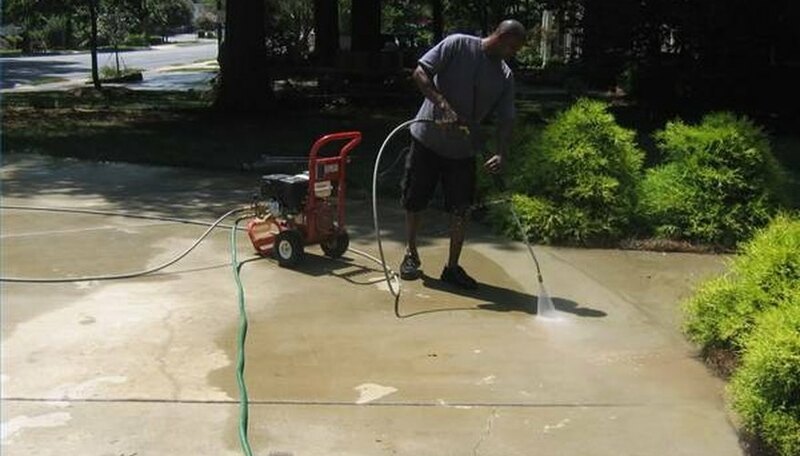 Apply a long-lasting sealer such as Ready Seal to the concrete surface. It will add years of life and luster. Pick a cool time of day for this project, such as early morning. Using a long-handled brush for scrubbing is easier on the back. Use gloves when handling the washing soda. 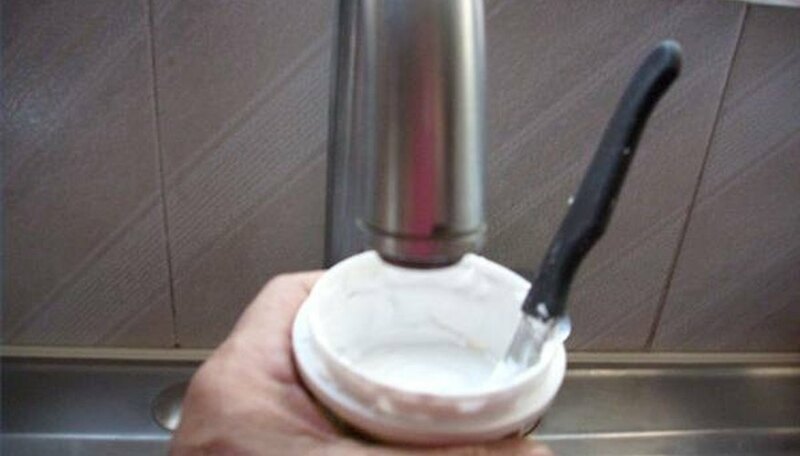 Follow all safety instructions on cement sealant product container.